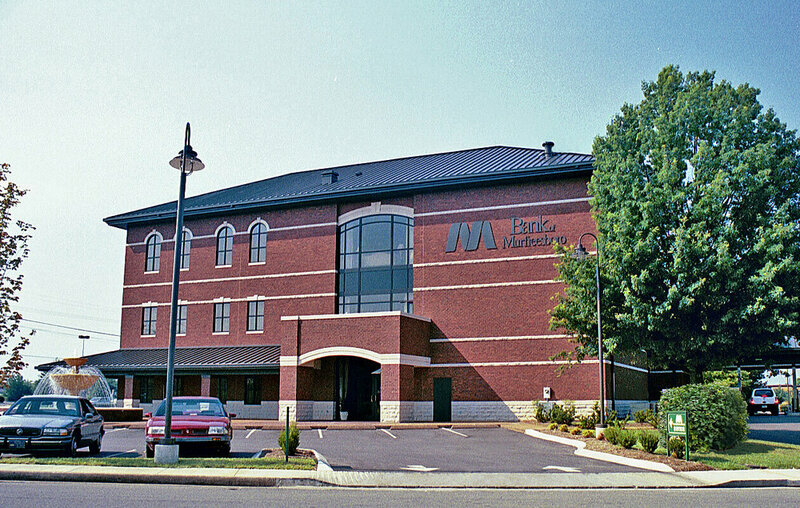 Since Kline Swinney Associates completed this project, the bank has changed its name to First Bank. 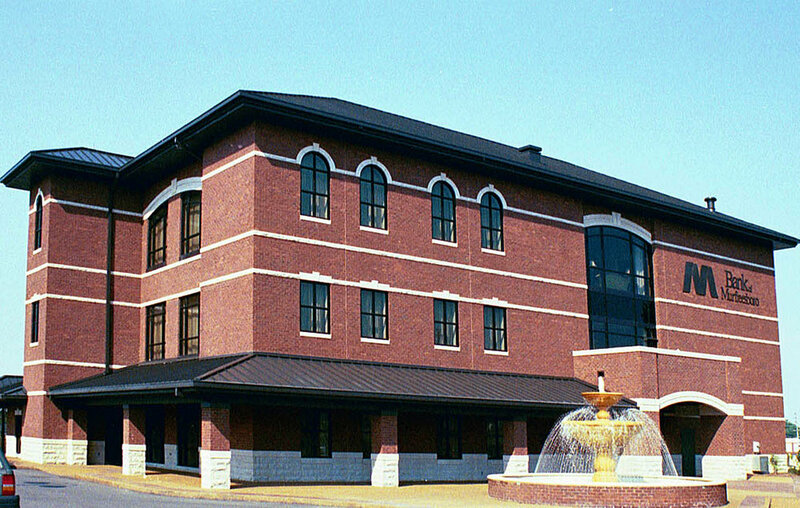 The building is three stories, 20,448 square feet with brick veneer, simulated stone bands, arches, and keystones, and a standing seam metal roof. A twelve foot diameter fountain creates a “white noise” element to this very busy intersection.